Earlier this year, rising star Eddie Redmayne took home his first Oscar for playing Stephen Hawking in the critically-acclaimed drama The Theory of Everything. The actor's new film The Danish Girl may give him a chance to join elite company like Tom Hanks and Katharine Hepburn by winning Oscars in back-to-back years. While we still have a few months to wait and see if he'll even be nominated, you can take a look at new footage from The Danish Girl in a new trailer. Inspired by the true story of Danish painter Einar Wegener (Eddie Redmayne) and his California-born wife (Alicia Vikander), this tender portrait of a marriage asks: What do you do when someone you love wants to change? It starts with a question, a simple favor asked of a husband by his wife on an afternoon chilled by the Baltic wind while both are painting in their studio. Her portrait model has canceled, and would he mind slipping into a pair of women's shoes and stockings for a few moments so she can finish the painting on time. "Of course," he answers. "Anything at all." With that, one of the most passionate and unusual love stories of the twentieth century begins. When their portraits become wildly popular in 1920s Copenhagen, Greta encouraged her husband to adopt the female guise. What began as a harmless game led Einer to a metamorphosis and landmark 1931 operation that shocked the world and threatened their love. The supporting cast of The Danish Girl includes Amber Heard, Matthias Schoenaerts and Ben Whishaw. Tom Hooper directs from an adapted screenplay by Lucinda Coxon. The director also produces alongside Gail Mutrux (Kinsey), Anne Harrison (Two Family House) and Working Title co-chairs Tim Bevan and Eric Fellner. Linda Reisman is executive-producing The Danish Girl with Ulf Israel of Senator Global Productions. The drama is slated to hit theaters on November 27 in limited release, going up against wide releases Creed, The Good Dinosaur and Victor Frankenstein, which all open on Wednesday, November 25, a day before the Thanksgiving holiday. Transgender issues have become a hot-button topic in recent years, which have been showcased in Amazon's hit series Transparent, not to mention Bruce Jenner's widely publicized transformation into Caitlyn Jenner. It isn't known if Focus Features plans on expanding The Danish Girl after opening in limited release, but if it does, it could be a sleeper hit at the box office throughout the month of December. 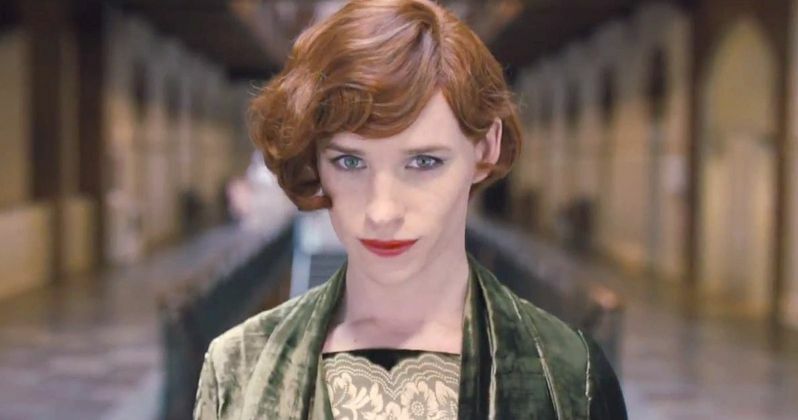 Take a look at this new trailer below, and let us know what you think of The Danish Girl.